The Annual Spring Hope Food Drive will take place Wednesday April 17, 2019! 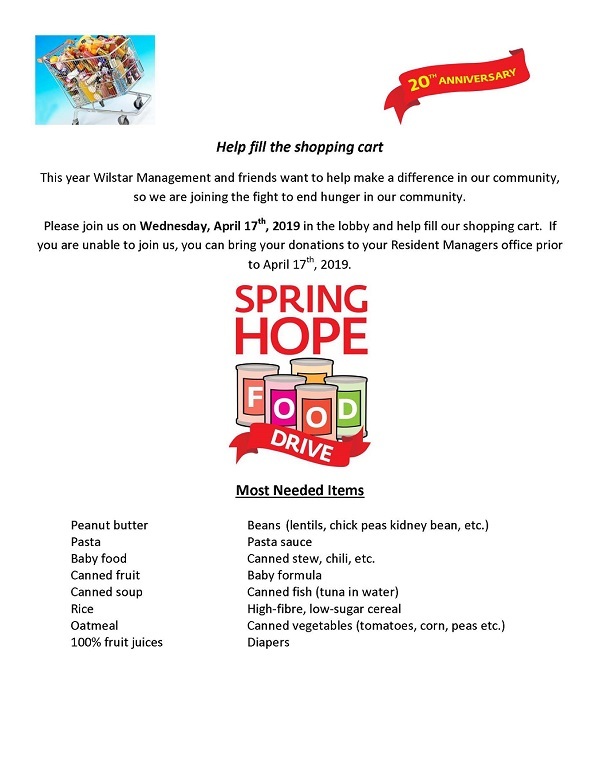 Please join us on Wednesday, April 17th, 2019 in the lobby and help fill our shopping cart. If you are unable to join us, you can bring your donations to your Resident Managers office prior to April 17th, 2019. Wilstar Management and friends want to help make a difference in our community, so we are joining the fight to end hunger in our community. This is the ONLY door to door event that occurs at Wilstar Buildings.